Some beers you buy because you know and love them. Some you buy because they’ve had shovel-loads of hype and you feel like you’d be missing out if you didn’t at least try it. And some you buy just because the label on the bottle is utterly mindblowing. When I saw this Stillwater As Follows on the shelf at the frou-frou bottlo in Berry, I just had to buy it. To me, the bottle resembled something that belonged in the 1800s, not today. Maybe even all dusty and mysterious. Like it was old even in the 1800s. Looking at the label now, I don’t get the same vibe. Maybe because I’ve since studied it in so much detail that I realise it doesn’t look anywhere near that old. I think it was the ‘‘parchment scroll’’ logo of Stillwater that made me think it was old. The other interesting thing? Looking at the label I had no idea what sort of beer was inside. 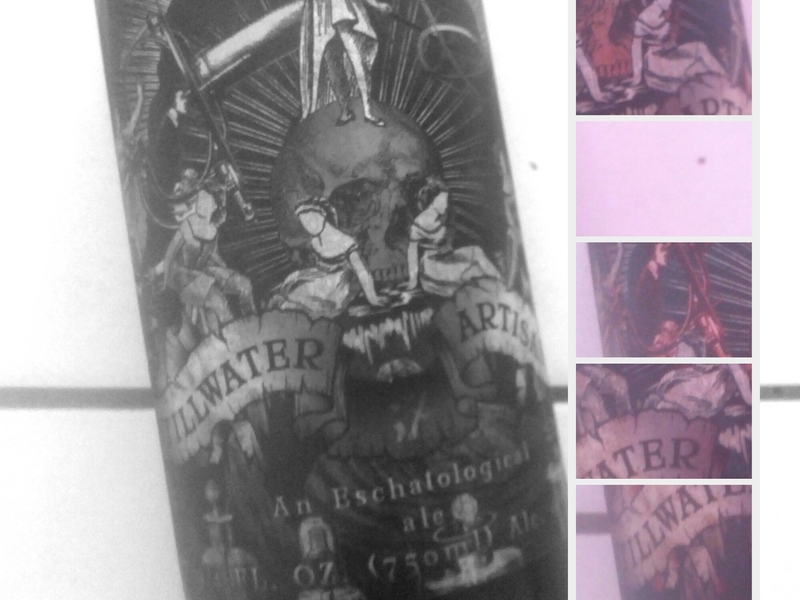 None – and the label description of ‘‘an eschatological ale’’ was no help. Especially after I looked up that word – it has to the theological study of death, judgment and heaven and hell. Which makes it sound like this beer will kill you. It was for that reason I left it untouched for at least six months (does that count as “cellaring”? Well, this is my blog, so I say Yes). Sure I could have looked it up but, hey, why ruin the surprise. Anyway, I have since drunk it and didn’t end up dying and going to the netherworld. So that was good. When I was drinking it I did some Google searching to find out if what I thought the style was actually correct (despite years of beer drinking I can find identifying style without any hints to be a bit tricky). And Google told me it was a Belgian strong pale ale. Turns out I was right. I’d guessed that style by the smell, which is of alcoholic tangerines (by which I mean tangerines that are high in alcohol, not fruit with a drinking problem). Tasting it, well, it was just too strong for me. There was a whopper of an alcohol burn right in the middle of the palate. It was so big it made me wince every time I had a sip. I think we can agree a beer that makes you wince is not a good thing.